We are only a week away from the Bristol Beer & Blake's 7 meet, so come and join us for a Saturday afternoon in Bristol drinking and chatting about Blake's 7, other SF stuff or anything that takes our fancy. All welcome. 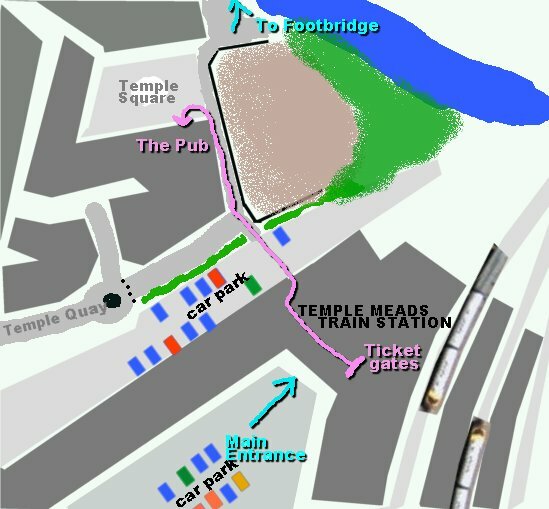 Where: The Knight's Templar, Unit 1 Temple Square, Temple Quay, Bristol, Avon, BS1 6DG. square, the pub is the large glass-fronted building on your left. The event goes from approx 12.20 to 7pm, though some of us may stay longer. If this is your first time and you don't know any of us, let us know what you look like and roughly when you'll be arriving so we can look out for you.